A band that can master the art of dynamics in their music, are one who are truly special. 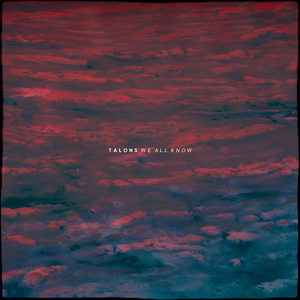 Talons flex their compositional muscles on their third album 'We All Know', which Holy Roar is proud to be releasing. Across nine songs, Talons expertly weave multiple layers of instruments and beats, showcasing a real compositional je ne sais quoi, exhibiting their skills in structure and dynamic control. The musical portraits the band paint take us through a variety of different sonic landscapes, moving from bleak and cold, to warm and all embracing, as well as everything in-between. Talons have excelled themselves with their third release, cementing their place in the world of heavy instrumental music, whilst carving their own very exciting niche. Godspeed You Black Emperor! - Allelujah! Don't bend! Ascend!